NOW that a direct flight between Davao City and Hong Kong is available, there are more reasons to prepare that travel luggage and explore the Asia’s World City. Just last March 3 until 8, I went on an escapade to Hong Kong and Macao with my mother, girlfriend, and buddy. This trip was a lot of firsts for me; it was my first to travel abroad with my mother, first with my girl, first with my best bud, and first out of the country trip that is not work-related. It was also my first travel that I braved to do it DIY (Do-It-Yourself). And I am writing this series to share our memorable and fun-filled 5-night stay in Hong Kong and Macao. We arrived at Hong Kong International Airport around 8:00 pm. After getting our luggage, we located the pick-up centers of our pre-booked (via Klook) 4G WiFi and Octopus Cards. I deemed these two necessary for your trip because the former is for your internet connection while the latter is for hassle-free MTR, bus, and some restaurants and shops’ payments. We took an A21 bus to Tsim Sha Tsui (HKD33) where we booked our stay for three nights (Marrigold Hostel, Chungking Mansion). 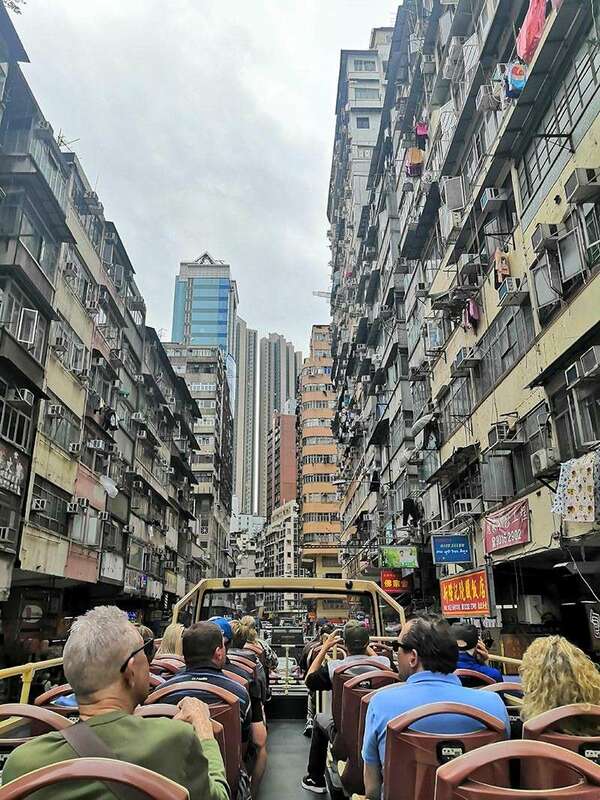 Hop aboard and let the Hop-On, Hop-Off Big Bus Tours introduce some of Hong Kong’s famous landmarks and must-see spots from the high rise skyline of Central, buzzing Nathan Road in Kowloon, and world-renowned Stanley Market. The beauty of this bus tours is that you can hop off at any stop to see Hong Kong’s sights and attractions at you own pace. It has three routes on daytime: Kowloon Tour (Blue route); Hong Kong Island Tour (Red route); and Aberdeen and Stanley Tour (Green route). We had first the Kowloon Tour (Blue Route) since it is the nearest to Tsim Sha Tsui. Afterwards, we went to Hong Kong Island via Star Ferry. Right after setting our feet on the Central we immediately hop on the bus tours and enjoyed the scenic views of Central Hong Kong. We hop off at the Peak Tram Lower Terminus for Victoria Peak. Queue for the peak tram ride can be long but worry not as turnover time is just a few minutes. 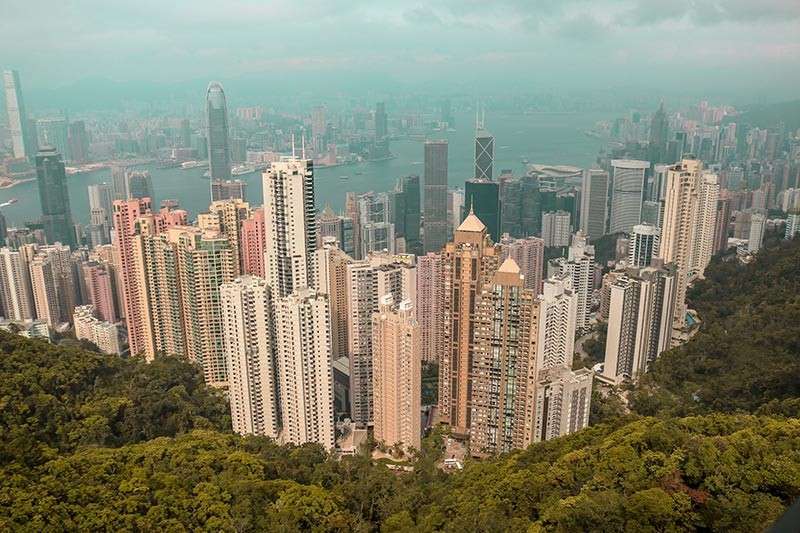 The trip on an iconic peak tram is uniquely spectacular plus the experience will be extra fun and exciting when you arrived at Victoria Peak. It allows tourists to have a vantage point of the fabulous panoramic views of the harbour and skyscrapers including the green hills of the New Territories from the Sky Terrace 428, the highest 360 degrees viewing platform in Hong Kong. When we felt that we had enough pictorials and selfies, we decided to call it our peak experience and continued our bus tour, now with the third route - the Stanley Tour (Green Route) passing through Ocean Park, Repulse Bay, Stanley Plaza, and Aberdeen with our last stop at the Central Ferry pier for a ride back to Tsim Sha Tsui. At sundown, we decided to walk and enjoy the lively neon lights-painted streets of Tsim Sha Tsui to Jordan where we visited and had dinner at Temple Street Night Market, Hong Kong’s busiest and liveliest night market. It is located nearby the Yau Ma Tei Tin Hau Temple, hence the name. 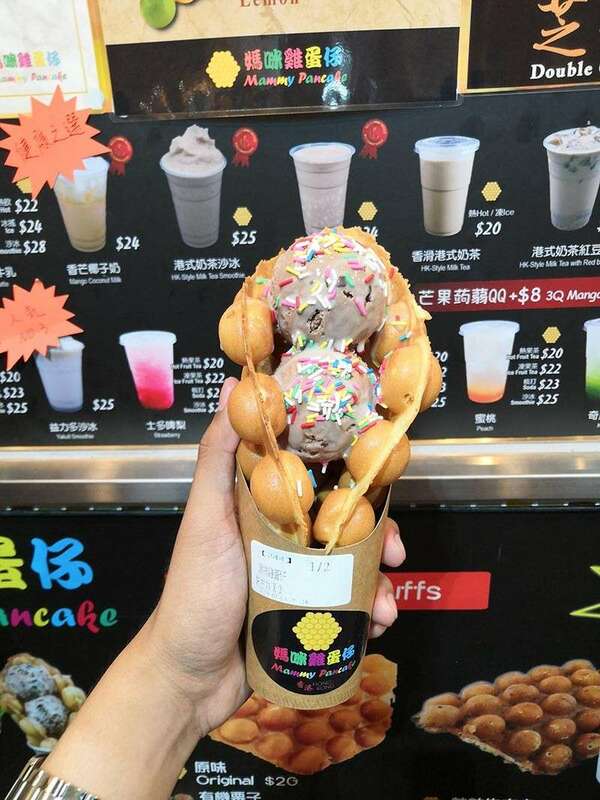 We had our dinner at Hong Kong Snack and tasted the famed egg waffles with ice cream and milk tea at Mammy Pancake. Our first day exploring and discovering Hong Kong on our own (with the help of Google Maps and the internet of course) was surely for keeps. We also are thankful to the people - locals, OFWs, and fellow tourists – who helped us navigate the crazy and beautiful place of Hong Kong. See you on our Day 2 adventure at Ngong Ping and Mongkok!